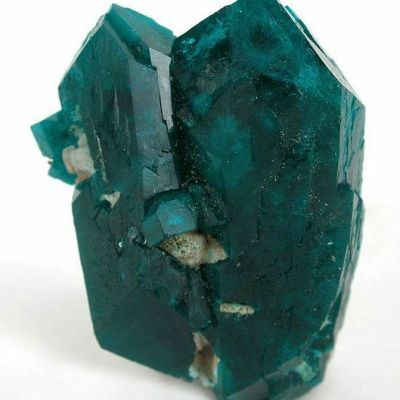 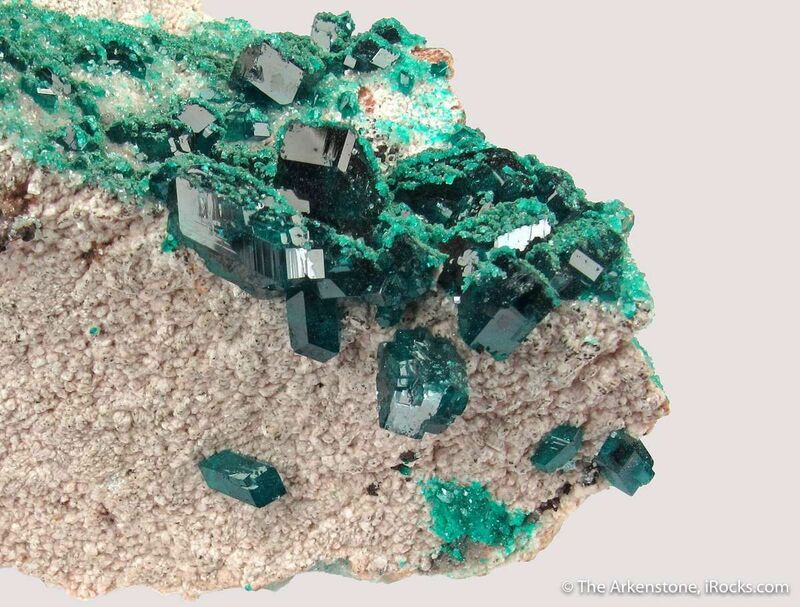 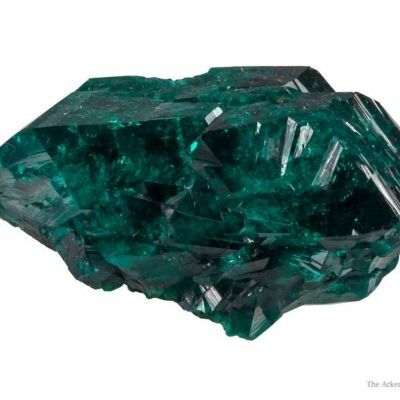 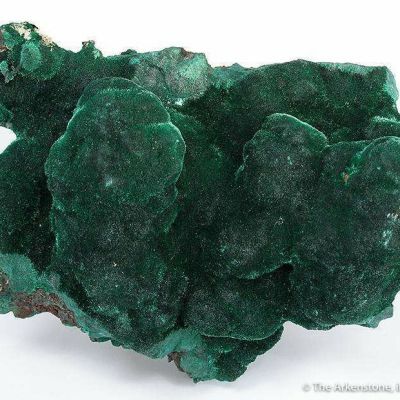 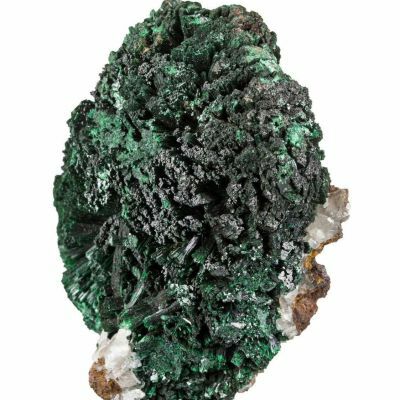 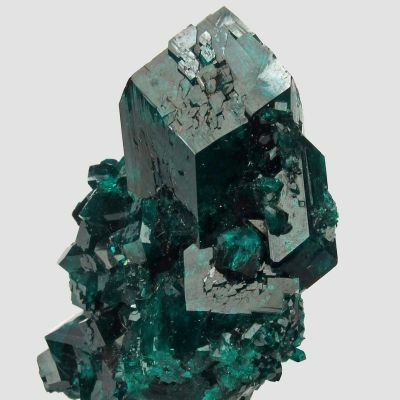 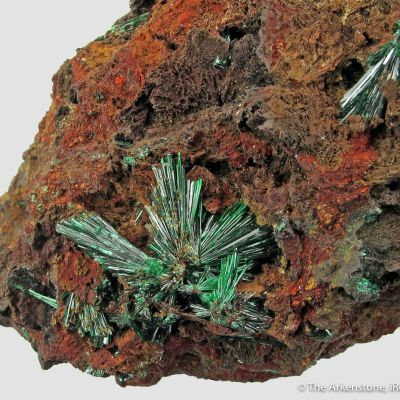 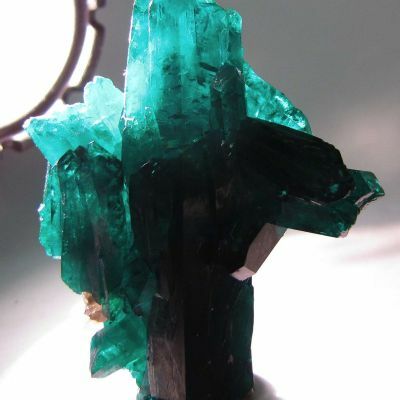 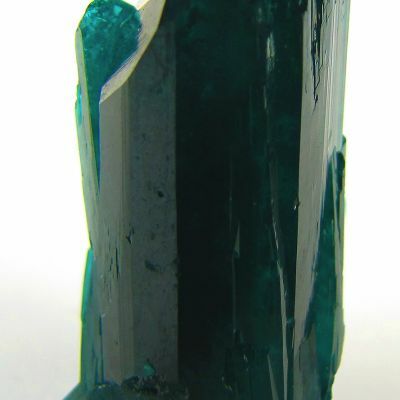 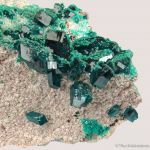 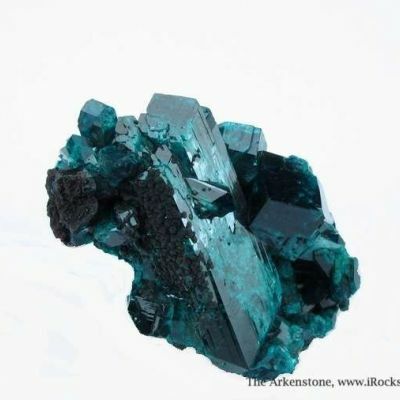 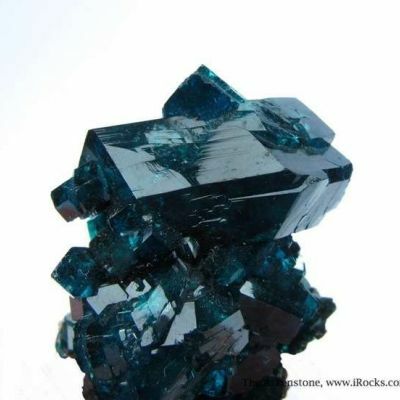 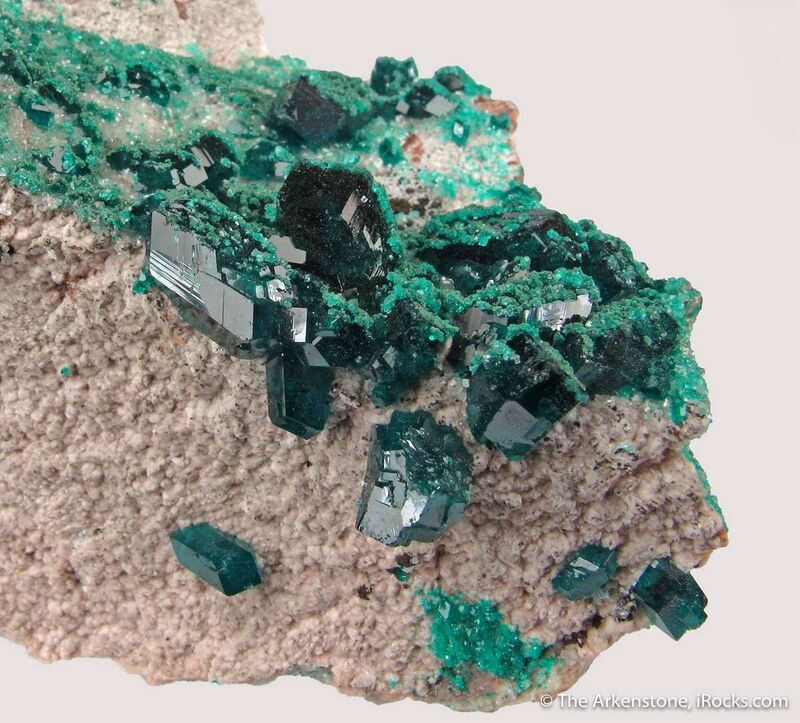 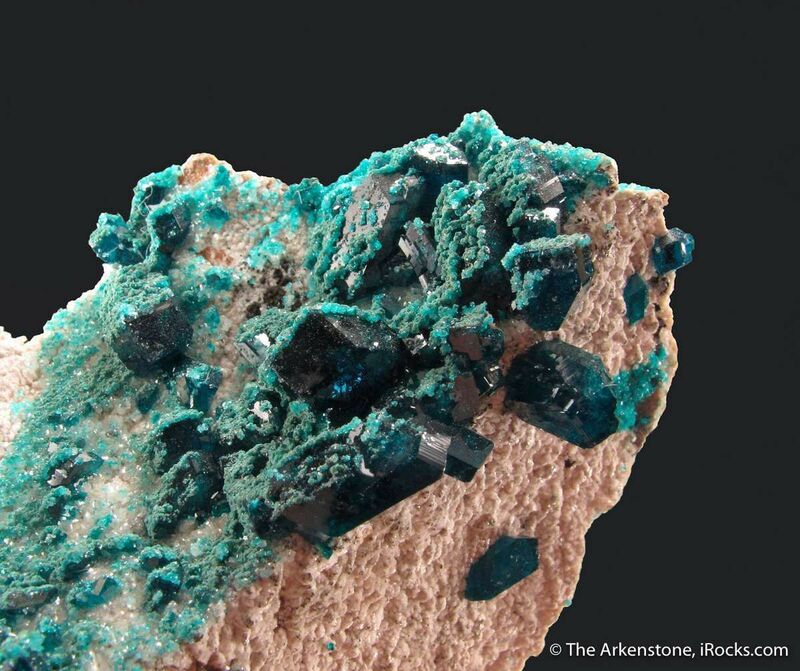 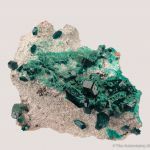 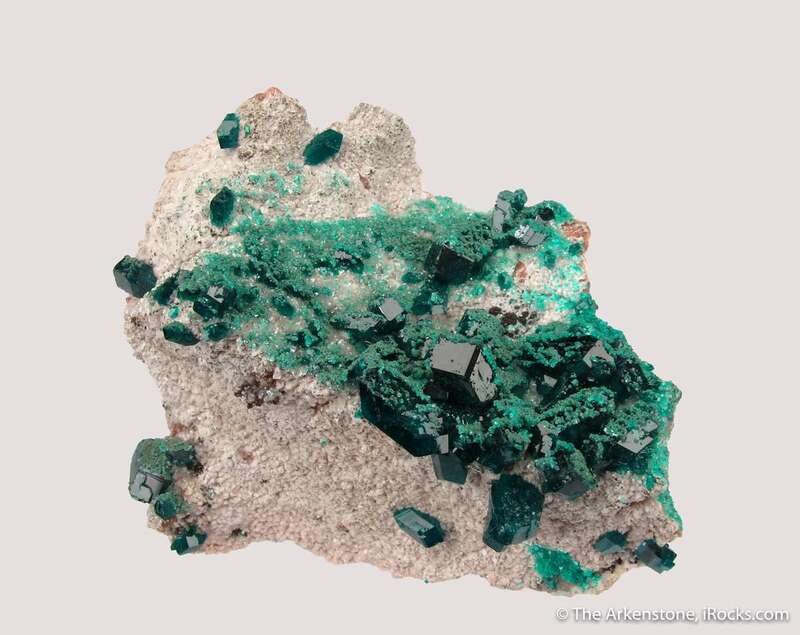 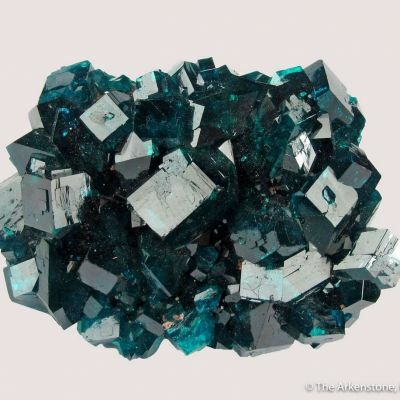 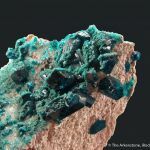 A very attractive, sparkling combination piece from Tsumeb composed of lustrous, deep-green Dioptase crystals on a fluorescent Dolomite matrix. 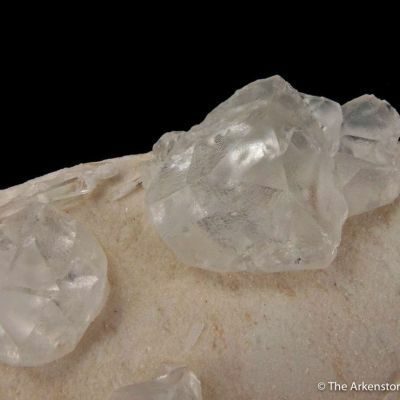 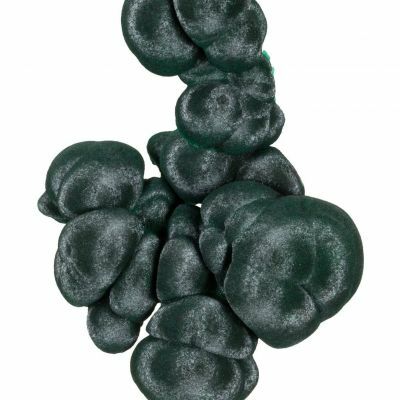 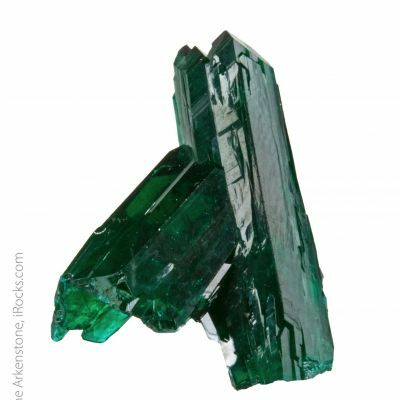 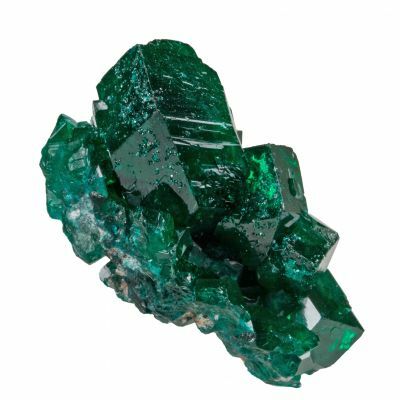 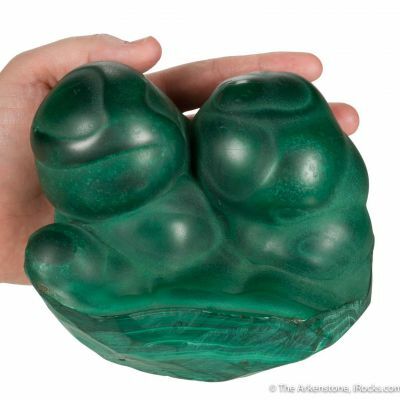 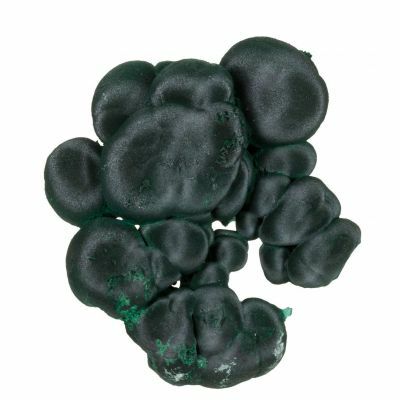 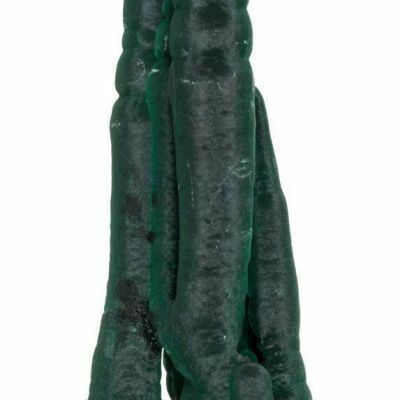 These gemmy Dioptases range up to 1.1 cm long, and they have a preferential coating of micro Malachite and Dioptase. 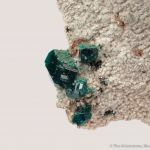 Preferential effects are endlessly fascinating, and this coating looks like Christmas sugar candy has been sprinkled on the piece. 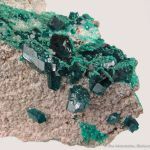 The fluorescence of the Dolomite is an orange pink. 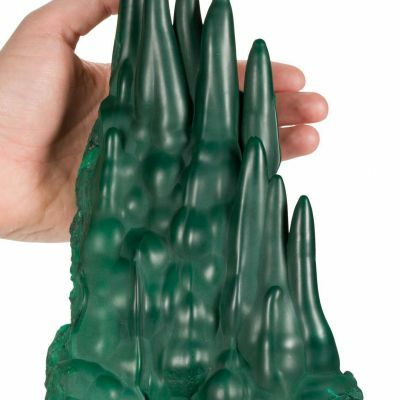 A fine, aesthetic small cabinet piece of unusual style.